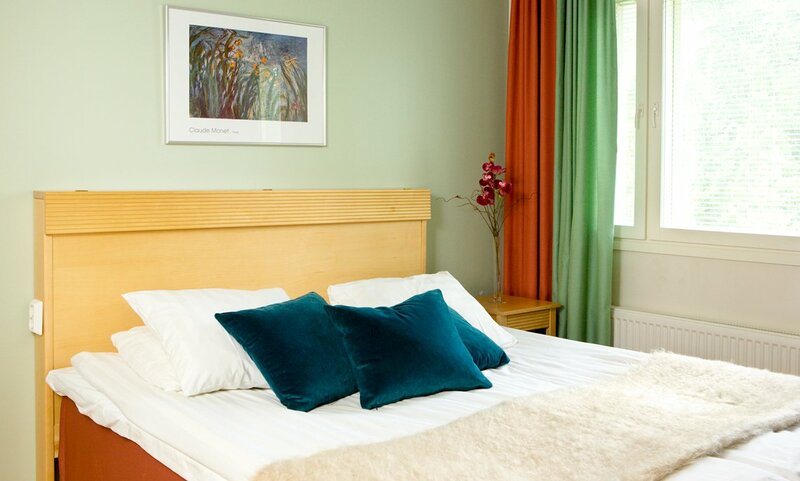 Rauhalahti Apartment Hotel is located 100 metres from the Spa Hotel, the main hotel building. It is a short way to walk to the main hotel. 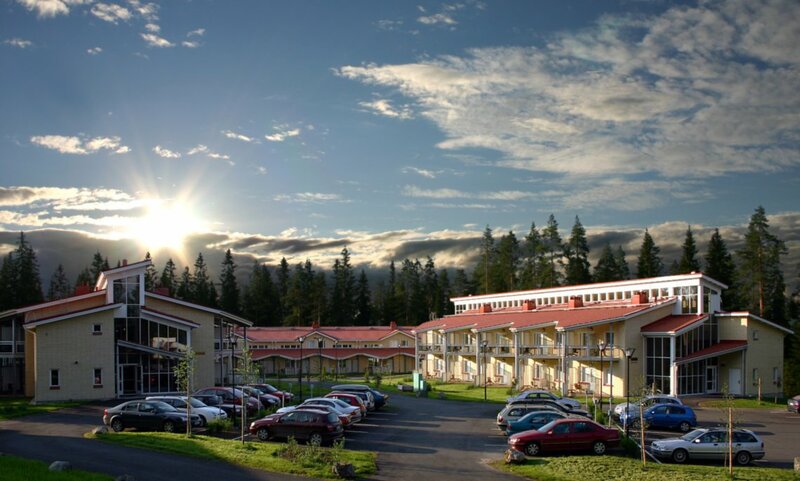 Apartment Hotel –guests can use free the spa and gym in the spa hotel. Apartment Hotel is ideal for families and small groups but also for couples. You can choose either a smaller apartment or a spacious superior. 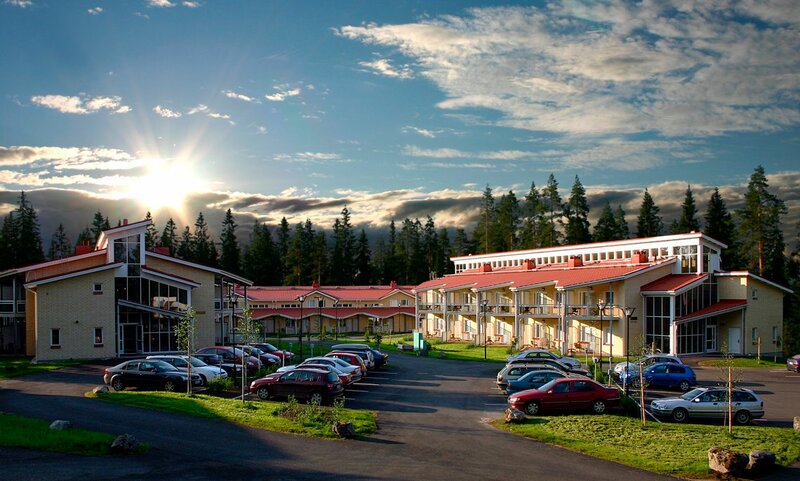 The Apartment Hotel has ski maintenance and storage rooms as well as a car-park with plug-in points for engine heaters. The apartments are located in two blocks and have 32 m². The ground-floor apartments have patios and the first-floor apartments have balconies. All apartments sleep four -five persons. Extra bed (sofa for two) and baby cot on request. The apartments have a laminate flooring and they all are non-smoking. There is a bedroom, a living room and a bathroom with a small sauna, a shower and WC in the apartment. The living-room has: a lounge area with a 2-seat sofa bed, an armchair, a coffee table, 2 beds each measuring 80 cm x 200 cm, and a mini kitchen with a microwave, coffeemaker, fridge, and cookware and tableware for five. 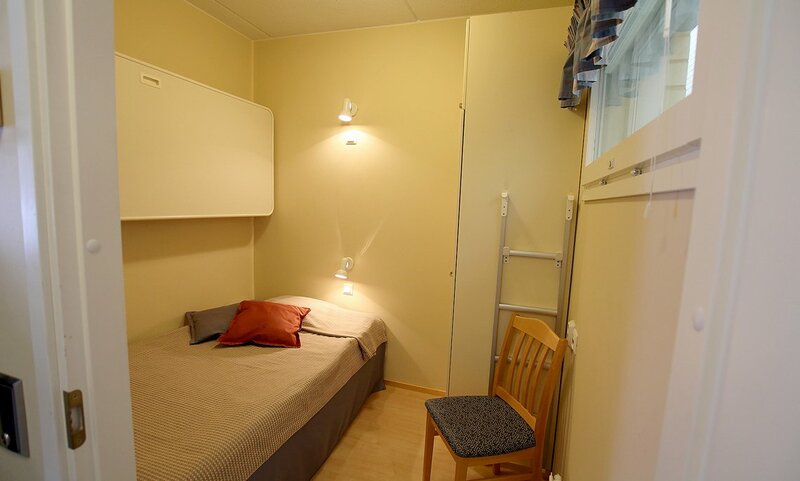 Small bedroom has: a standard bed measuring 120 cm x 200 cm and a bunk measuring 80 cm x 200 cm. 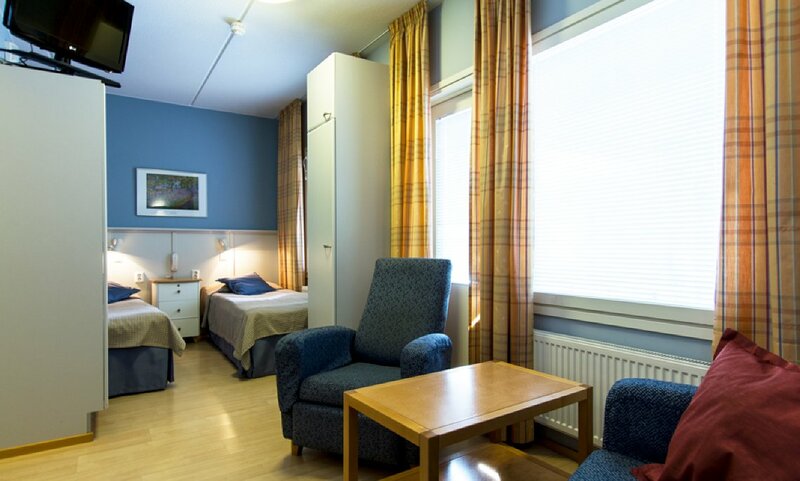 In the apartment there are a flat-screen TV, safety deposit box, hairdryer, clothes drying cupboard, ironing equipment and free wireless internet access (WiFi). There are totally 20 apartments with own sauna and four of them are available for guests with pets. There is no lift in the apartment hotel. The apartments are located in two blocks and have 32 m². The ground-floor apartments have patios and the first-floor apartments have balconies. 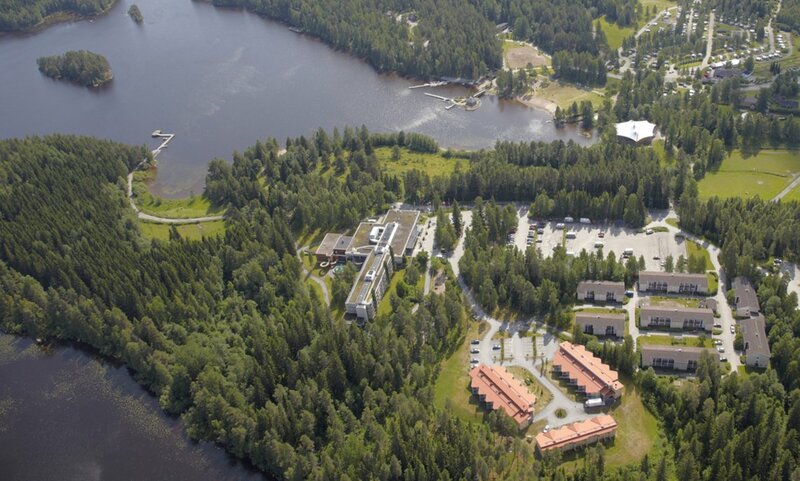 4 apartments with a sauna and 4 apartments without a sauna are available for guests with pets. All apartments sleep four -five persons. Extra bed (sofa for two) and baby cot on request. The apartments have a laminate flooring and they all are non-smoking. There is a bedroom, a living room and a bathroom with a shower and WC in the apartment. The living-room has: a lounge area with a 3-seat sofa bed, an armchair, a coffee table, 2 beds each measuring 80 cm x 200 cm, and a mini kitchen with a microwave, coffeemaker, fridge, and cookware and tableware for five. 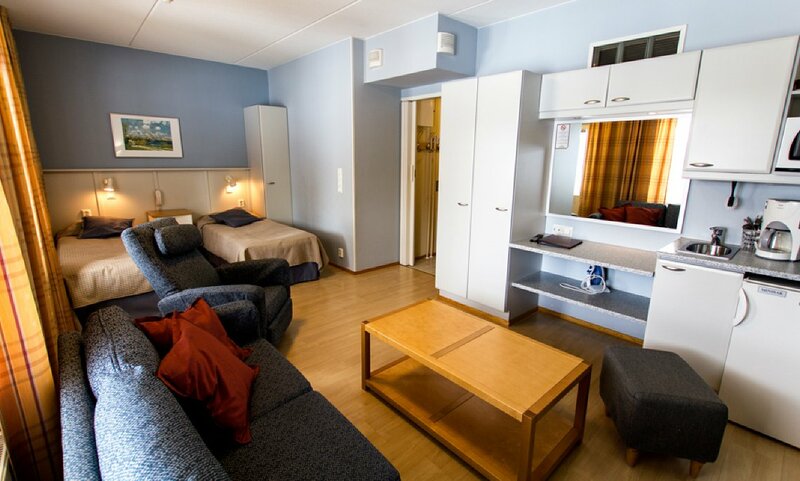 In the apartment there are a flat-screen TV, safety deposit box, hairdryer, clothes drying cupboard, ironing equipment and free wireless internet access (WiFi). There are totally 20 apartments like this and four of them are available for guests with pets. There is no lift in the apartment hotel. 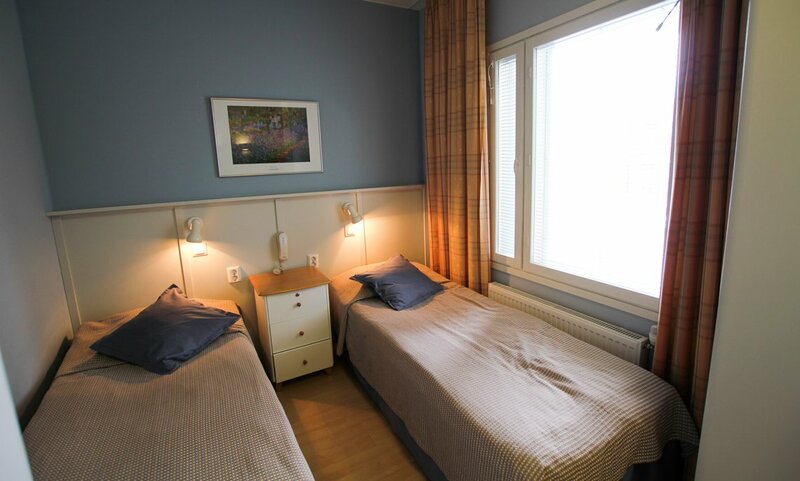 The superior-apartments are located in a separate block on the edge of the peaceful hotel yard. All apartments have two storeys and are non-smoking. Each apartment sleeps five - six persons. 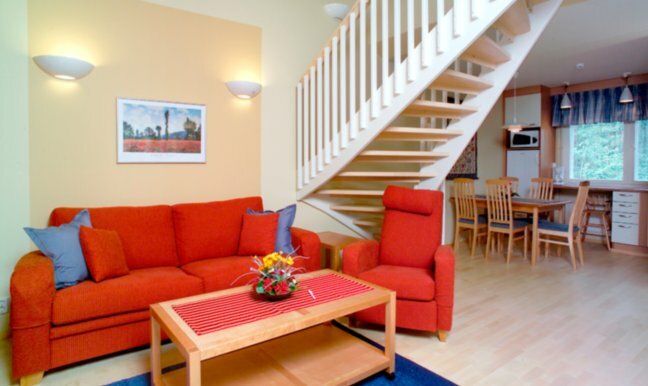 All apartments have free wireless internet access (WiFi). The apartments are also suitable for teamwork and small meetings. Downstairs there are a living-room with a 3-seat sofa, 2 armchairs and a coffee table. A well-appointed kitchen with a dining table and chairs for six, fridge/minibar, cooker, microwave, coffeemaker, dishwasher, and cookware and tableware for six. 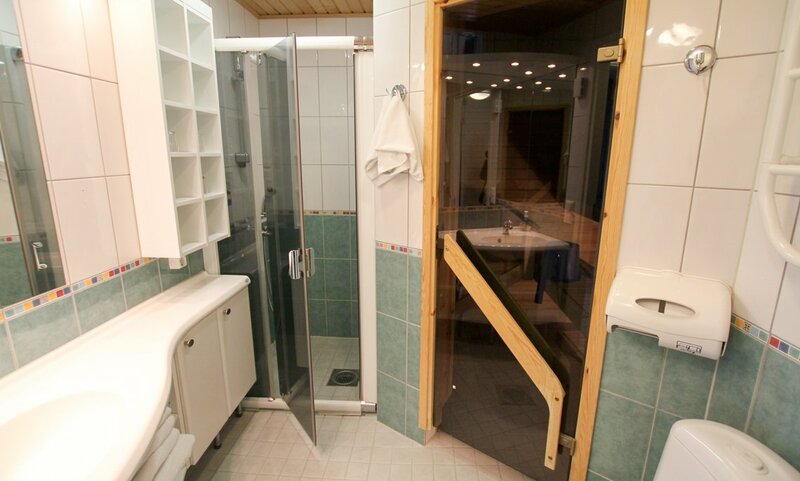 A sauna and a shower room with a door to a patio. Bathrobes. A separate WC. Upstairs there are two double bedrooms with double beds measuring 160 cm x 200 cm. One bedroom with a French balcony. 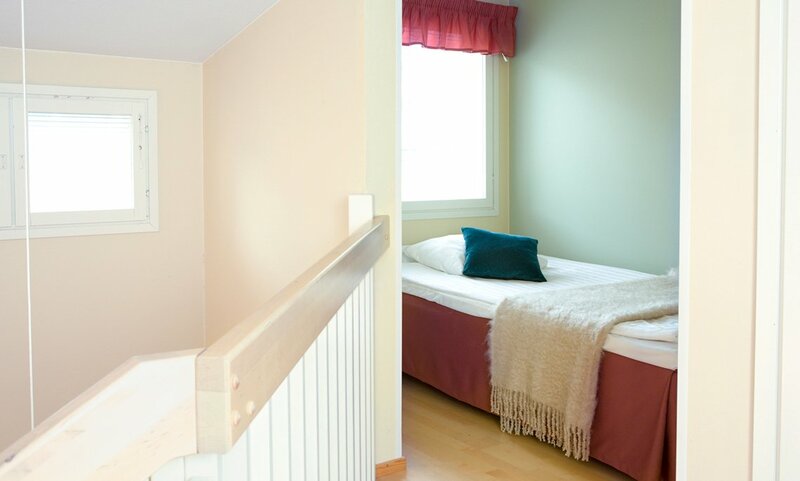 A sleeping alcove with a bed measuring 120 cm x 200 cm. There are flat-screen TVs in the bedrooms. The staircase has a safety gate. 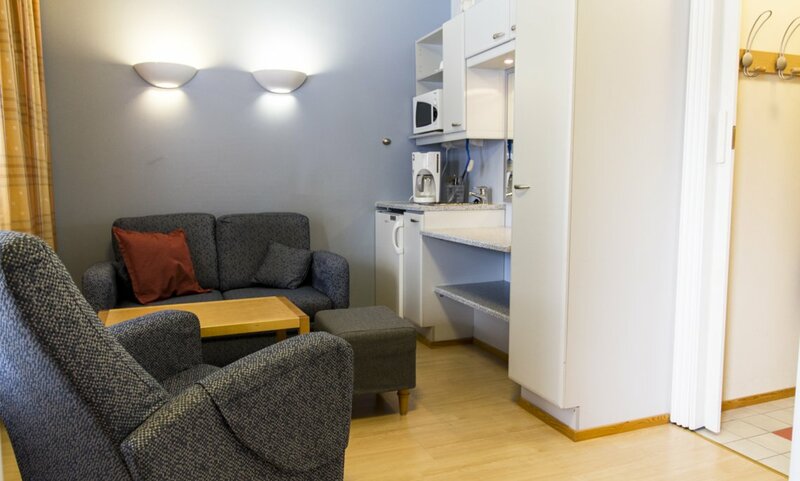 In the apartment there are a safety deposit box, hairdryer, clothes drying cupboard, ironing equipment.